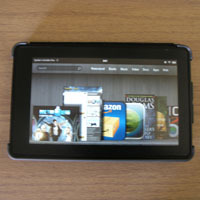 On September 28, 2011 I bought the Kindle Touch as well as the Kindle Fire. 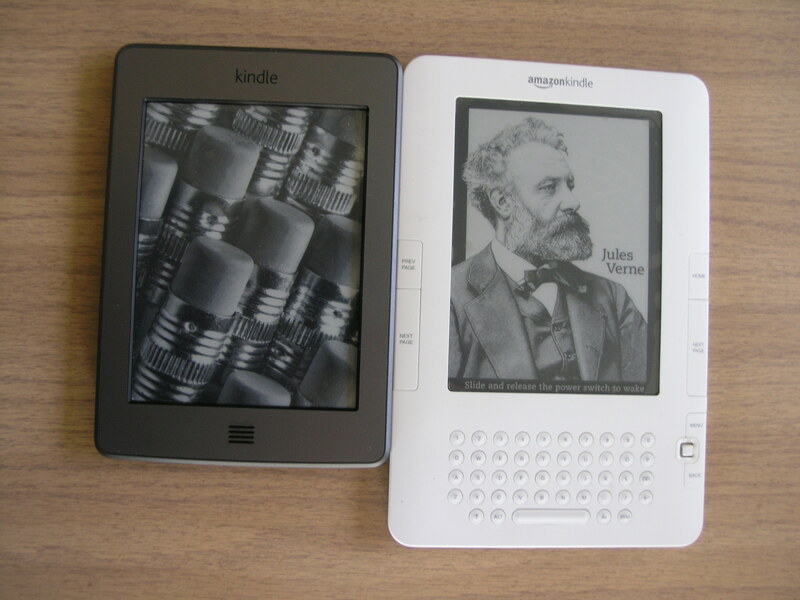 The Kindle Touch arrived on November 15, 2011 and the Kindle Fire arrived on November 16, 2011 both less than 24 hours after Amazon announced they shipped (under free 2 day shipping with Amazon Prime). The joys of having a Amazon shipping facility in Phoenix Arizona. For the next few posts I am going to forgo the usual smashing of hosts that use review sites, hosts that appear in review sites, and the hosts that spam in one or another for the next 7 days to do a few posts on one of my favorite subjects which is tech toys. 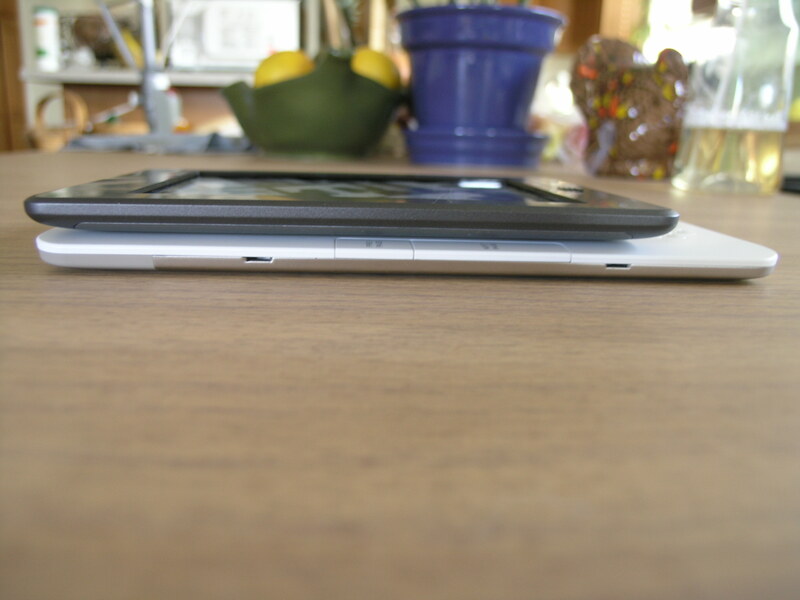 After all I got to play with a few since Early October, another such item being the HP Touchpad. I have placed affiliate links thru out this post, which means if you buy a Kindle Touch or other recommended item via any of the links I placed I get paid a commission. Unlike the review sites that I rail against I actually use the product(s) I listed. I actually stand behind a review of a service or item that I provide affiliate links to. 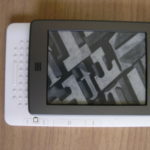 The version of the Kindle Touch I got was the free 3g, without “special offers”. 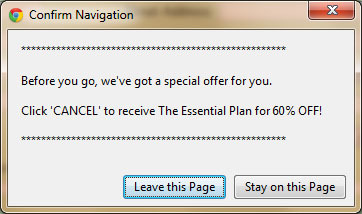 Those special offers include advertising on your Kindle. 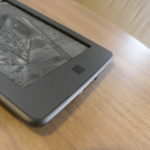 I was not really interested in turning my Kindle Touch into an advertising platform. 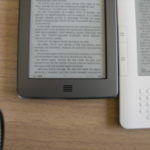 My Kindle 2 has 3g, which I have enjoyed not having to set it up when I take it any where. After trying the Kindle 3 with Wi-Fi I decided I would rather have the free 3g because I am not always near a Wi-Fi connection. Even when I am near a Wi-Fi connection some can be painfully slow (even by free 3g standards) or disconnect a lot. That and I may be a bit lazy on connecting my device. I wanted to be able to synch my library as I like to synch often when traveling, rarely do I buy books outside of home. 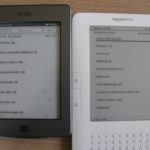 Not to mention both the Kindle 2 and Kindle Touch have a browser which while being very slow, can some times helps out when there is no Wi-Fi or if I want another source to see if a web site is down. 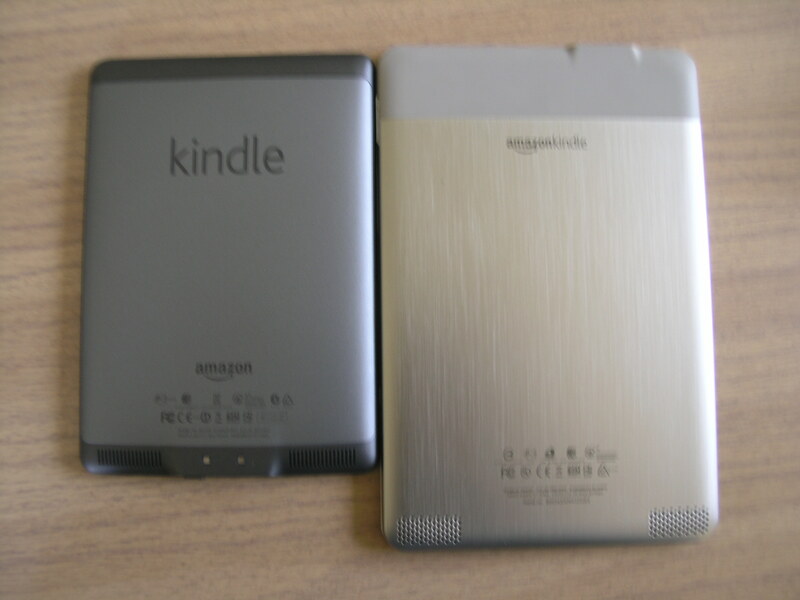 Why did I buy a Kindle Touch when I also bought the Kindle Fire? 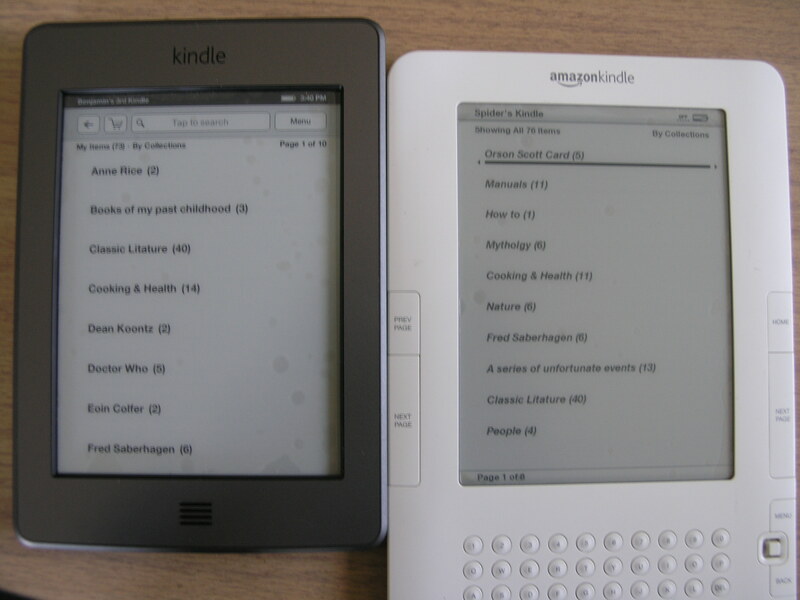 Most of my friends that don’t read or rarely read don’t understand the appeal of a black and white screen. 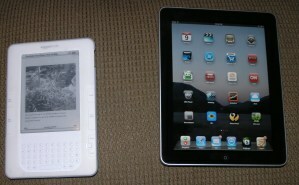 They did not quite get why I would buy a Kindle 2 or Kindle Touch when I had an iPad or now the Kindle Fire. After all they are color. These being friends that will never read Lord of The Rings and other page heavy books, but they had no problem borrowing the deluxe version of the DVDs from me. 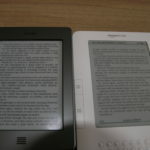 For any one that reads as much as I do or more knows It’s not so much the black and white screen, as the long battery life. 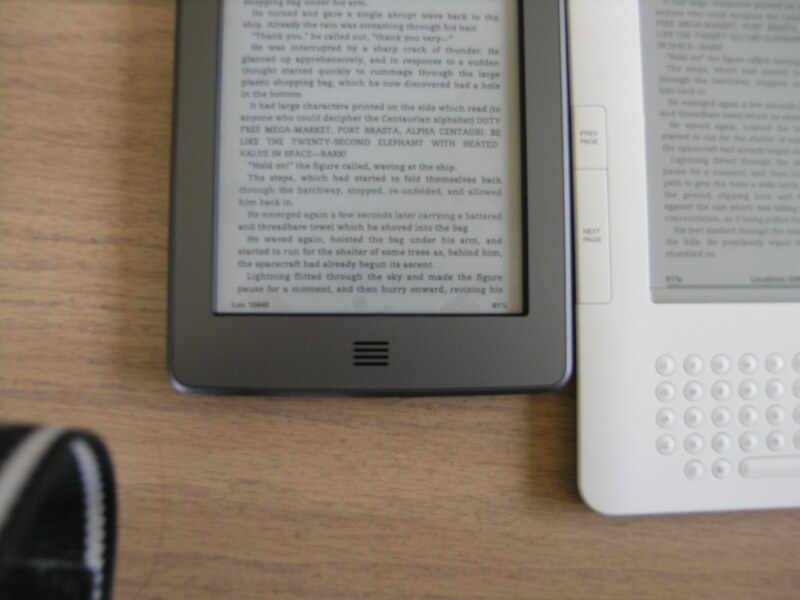 Anyone I know that likes to read, and like myself may get less sleep because of staying up longer than usual because of a good book, understands well that a device with a long battery life is better than a tablet that lasts 4 – 10 hours on a charge. 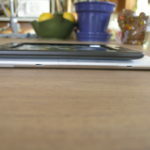 On my Kindle 2 I recharge about every 3 weeks to 6 weeks; whereas I recharge my iPad about every 1 – 2 days. Not to mention most of the books I read are mostly text and not a lot of pictures. So there is no advantage of having a color screen to read on. That and while I can read the iPad outside, it is no where near as clear as my Kindle 2 or Kindle Touch in direct sun light. 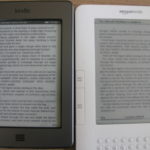 So after 2 years the Kindle 2 is no good? 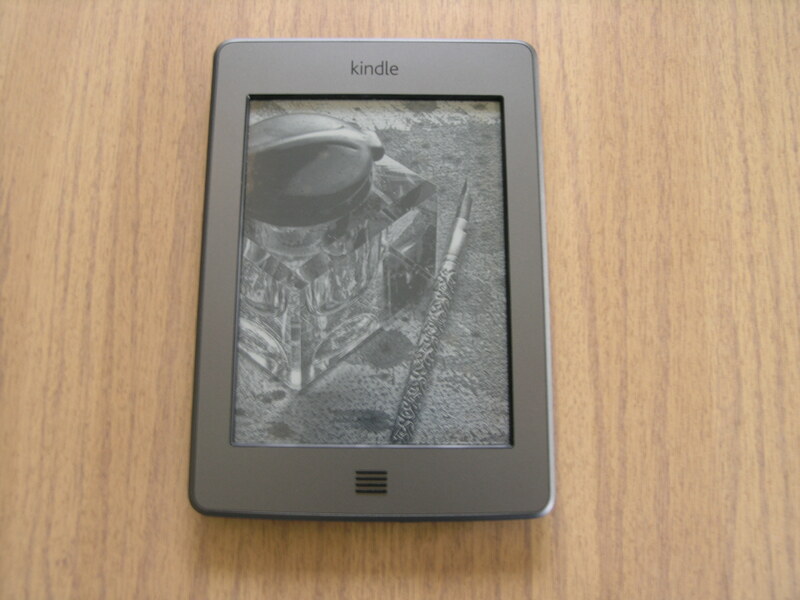 Back when I was selling off my shares in 4 hosting companies in 2009, I decided in November to get a Kindle 2, since then I have added over 400 books to it. 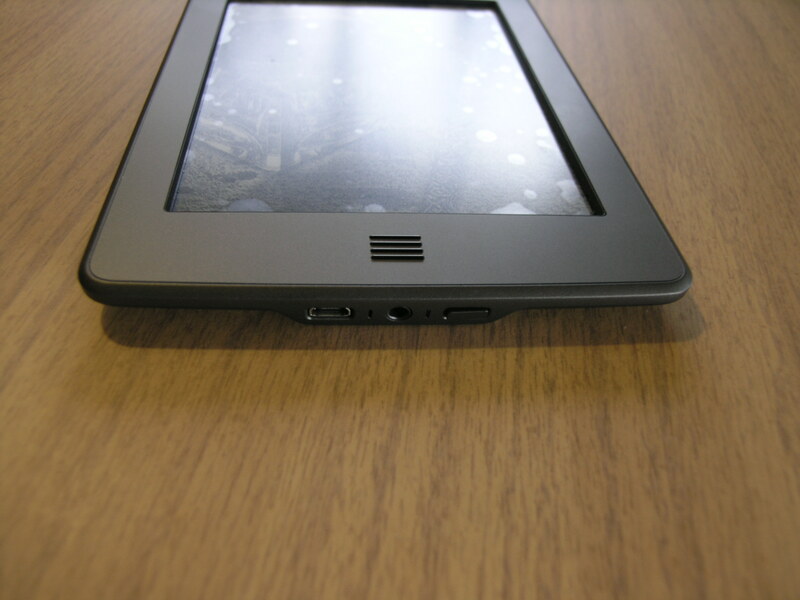 To be honest I really had no justification for buying the Kindle Touch. 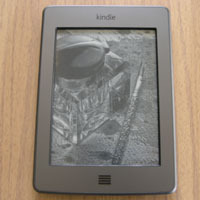 Other than a fancy new tech toy, I had no reason to validate a new eReader. 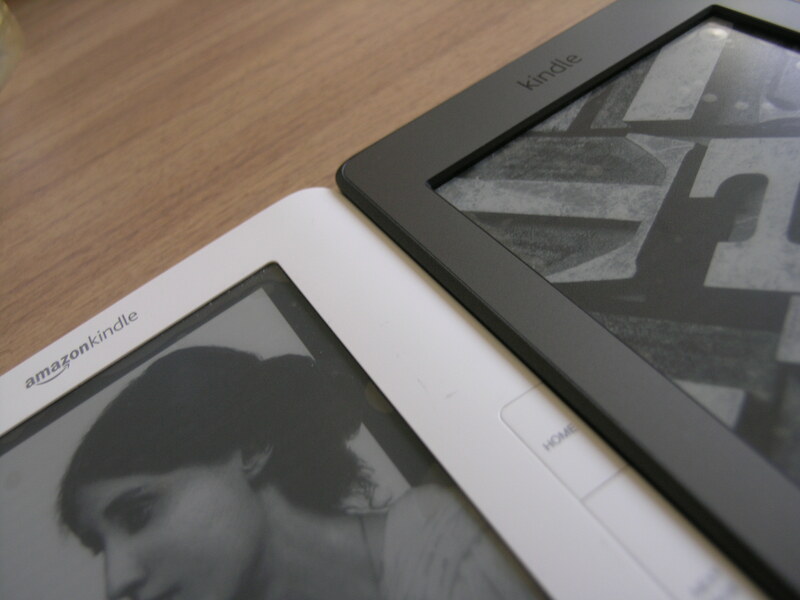 The Kindle 2’s battery life shows no signs of decline. 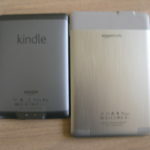 With a Speck cover and a proper screen cover my kindle is in the same condition I bought it in. Despite getting a new device I will not be retiring the Kindle 2, and will continue using it at home, while using the Kindle 3 when I travel. I will not be sending back to Amazon for what amounts to a small percentage of the $280 I paid for it. They pay $25. Especially when the extended warranty is still in effect for another year or two. Generally if I avoid leaving the 3g connection on I can go almost a month or longer before having to recharge. But I wanted one that fits easier in my pockets, even when I am not wearing cargo pants / shorts. My biggest gripe with the Kindle 2, is that Amazon seems to have abandoned it this year after they put my model up for less than $100 last year for Black Friday which I bought for a friend last year. 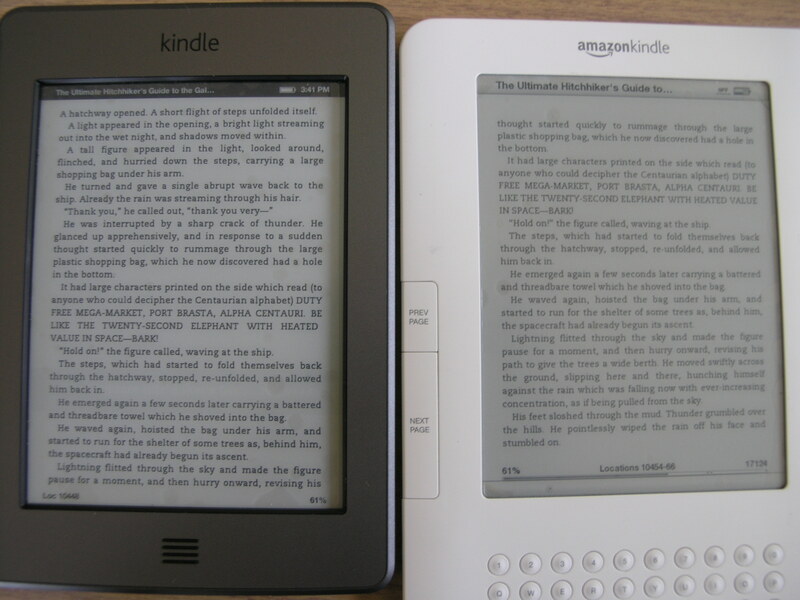 I had hoped that like the Kindle 3, they would release a patch that would provide page numbers. I am bothered by the lack of updates this year. 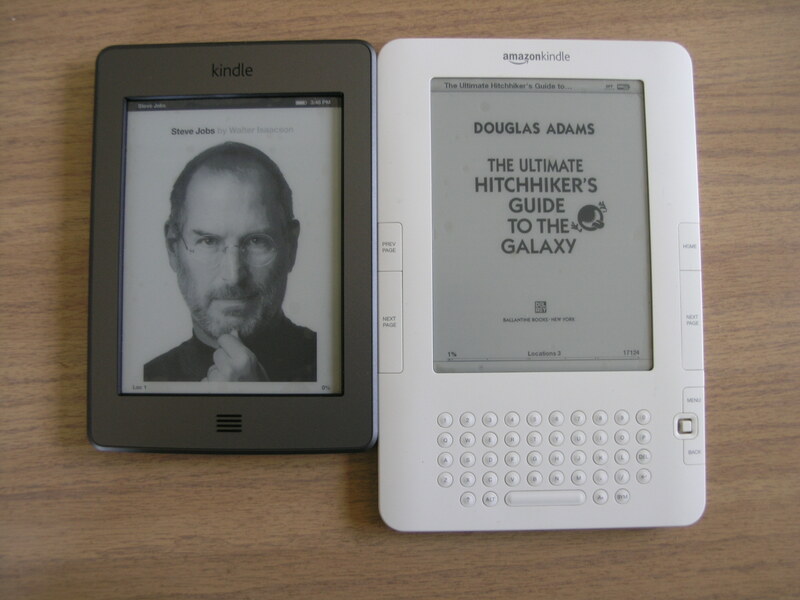 Despite the lack of updates, the Kindle 2 is still a good eReader which I have had zero issues with. Longer battery life then previous models (I have yet to see the battery life and will update this post in a month). At this point there are no covers that I can recommend. Being a very strict vegan I refuse to buy any cover made of leather. I will at later date post a cover that I find practical for the Kindle Touch. 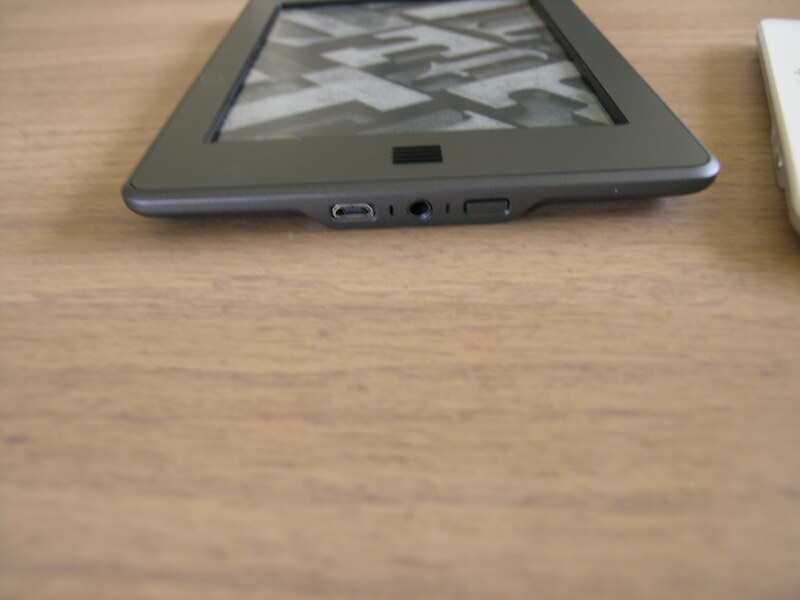 Currently the one I have on my Kindle 2 is made by Speck which is a snap on shell that has been very effective. They are a good anti-glare cover, however I find that they are near impossible to get the bubbles out. 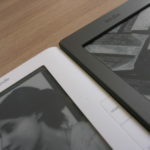 Despite that flaw they are a good protection for your Kindle 2, Kindle 3, or the Kindle Touch. 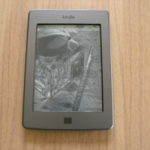 There are many reasons I went from paper books to an eReader. One of which is that I did not want tree to be cut down to provide me with reading material. Then there is that part of me that that is a tech geek / data hoarder. On top of that I have not exactly gotten a permanent residence yet. 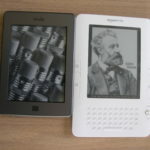 I would dread having those to lug another 400 plus books, another reason I stopped buying cds and went to buying mp3’s. 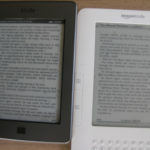 I can’t say saving money was the reason that went with an eReader. 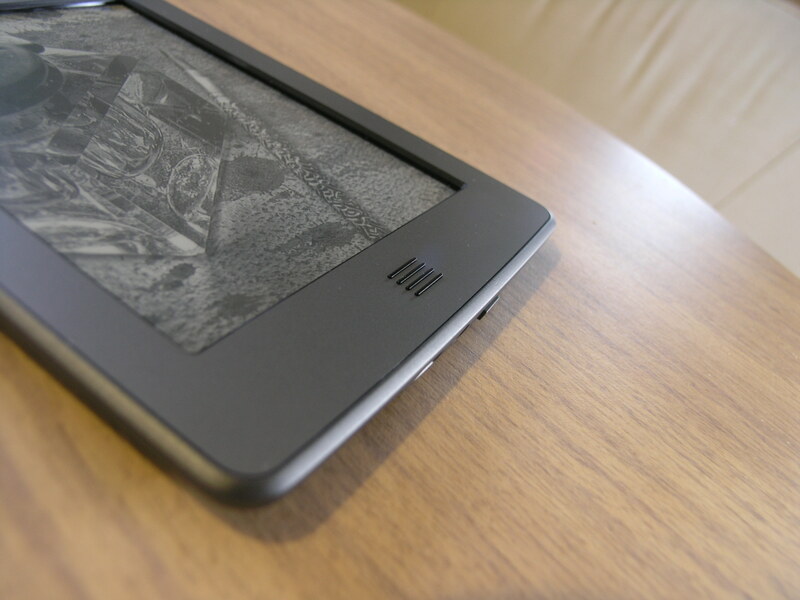 The Kindle Touch is a tech toy I recommend if you like to read a lot. One thing that never really occurred to me until this weekend, and that is the treatment of those that do outsource tech support. Since outsource tech support deals with an IT industry and not farm goods, clothing or other non-tech specific items it never occurred to me that perhaps outsource customer service may be under the same boat all in the name to provide something cheap. You watch enough news and you hear about some clothing company operating sweet shops some where around the world, even the U.S. where there are child labor laws. While India has child labor laws that cover up to the age of 14, that still does not stop someone from making people work for very little or nothing to make a profit. It occurred to me after reading theecologist.org and then calling Dell while brewing some coffee. Funny how some things are so obvious, yet don’t quite connect in my head. I was just about to vent my frustration over a order gone wrong when I glanced at the fair trade logo on my Trader Joe’s Organic Morning Blend (In short Fair Trade offers a reasonable pay for work done, not to mention reasonable hours and working conditions). The fair trade logo connected all those points together. My first thought was did this guy on the other end really deserve my rage? Was he paid enough to bear my rage? I doubt it. No I am not writing a rant against foreigners that are being outsource for customer service. While there are many exported jobs that I am unhappy about, I actually have sympathy for this guy on the other end trying to do his job. He is simply following the script that Dell provided him. At best his training consists of either being handed a binder with a table of contents that takes him to each answer, or being told to refer to the f.a.q. section on the company provided pc (which may have been the pinnacle of technology 8 years ago). When it comes to something not covered by the materials provided, you either get a long pause or are put on hold while they ask someone that may know the answer. Then when he / she comes back with an unsatisfactory answer, they may have to deal with the brunt of a customer’s anger. I don’t have a leg to stand on when it comes to complaining about outsourcing, after all on some of my cheaper companies used outsource tech support with India. I went with outsource support for one reason and one reason only, and that was to compete in a cheap market. When ever you try to compete in a cheap market, as with any business its all about money. While the techs I had here in the U.S. were very good at their job, it was not cost efficient to have them dealing with a cheap market for many reasons. Read enough of my blog and you will know that the cheaper an account was the more likely the account holder would place a ticket. That was a fact that I would not see until much later when software was in place that tracked such details. The other details that was pretty obvious was the level web development skill was not equal to higher paying customers. 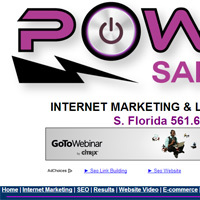 On the much higher end if my customers did not know, they hired webmasters. The more a customer paid the less likely they put tickets in for support. I can tell you my outsource tech support worked, but not without constant vigilance. Hence why I had monitors dedicated to chat, so I could jump in if needed, or come through on another chat program to guide the outsource techs. The vigilance being one of the driving factors into me desiring to leave the hosting industry. There are companies out there that don’t offer outsource support such as Godaddy.com and Hostgator.com. I suggest looking up the results for yourself as this is a post about foreign provided support and not domestic. That is a blog post for another day. Having been an ex-employee of a major company whose current logo is “Save Money, Live Better”, or included advertising about “roll back prices”. Did I mention they had their employees go to competitors and write down their prices? One of the big reasons I left them was the lack of employee benefits like insurance and money for college. I had fulfilled my obligations to obtain these benefits. Too bad I did not know the state I was in required these benefits for employees that work full time hours for more then three months. The reason I bring Walmart in the mix of an Outsource post, is that low cost companies will sometimes do whatever they can to obtain a profit. Like when Walmart bought Dead Peasant Policies on employees without their knowledge. What is a Dead Peasant Policy? I hear that a lot. Just as I hear my mother complain about the quality of something she bought at the $ 0.99 store. However she is willing to pay no more then a dollar for a lot of the things she gets at there. She even goes so far as to return things that she finds defective there. I honestly would not bother to return anything after all it was not until 2 months ago I started going there as they started carrying my favorite energy drink for $0.79 and it usually runs $2.00 +. Not that I have gotten anything defective from there, but if I did its just not worth my time to return anything. Its really a matter of math, in the time I spend going back to the store not to mention factors such as if I drove there or biked. What could I use that time instead doing? I get why people want the most for their money, but what about some realistic expectations? After all how much are you willing to do for that $3.25 a month? Are you willing to provide at less then a dollar a day service equal to what Pepsi pays for their hosting? Chances are that tech you complain about probable gets less then $0.01 of your hosting payment for having to help you out. Sure there are hundreds of you on a server in order to make it profitable. Never mind that slow tech that is on chat with you may be slow because they are dealing with more then just you at that moment. One of the things that I have seen while reviewing some 80 companies, those that use outsource support have a lot of complaints. Endurance International Group being the owner of many of these companies. When I first reviewed iPage, I had this weird chat session. Where I am asked what home page I was referring to, that had me wondering how many hosting companies this support company worked for. Turned out it was a large company that buys out other hosting companies. Which I found out after I reviewed a company that shared a spot in the top 10 with Justhost, which was fatcow. What I find interesting is they do not know what company they are handling chat for. Though the tech on the iPage review probable told me more then I should know. I tend to think alot of these outsourcing companies that pop up out there do little to train their employees before releasing them to companies seeking outsource support. Several years back before starting up my 2nd company I was trying to find a support company that could do it cheaply for the second host. Trust me I was not eager to go with a cheap outsource solution. But as I said before it was a matter of profit. The cheaper you go, the more people you have to put on a server to make it profitable. The less likely a you are going to put people on state of the art technology. If you live in a area like I do where the cost of living is comparable higher then other parts on the world, outsource support is your best bet to make your cheap hosting solution profitable. The first company I found was a complete disaster. This was a former software developer if I remember correctly was in India. I tend to think this outsource solution would have been the death of my company if I did not decided to monitor chats and the company had not started up. As the people they provided did not even have the basics of for what they were doing. For some reasons the owner of this operation thought my company would train people who barely understood what a pc was on how to be IT experts. Their boss collected my fee and disappeared. No surprise but they are no longer in business and the software part. there most industrious part was shut down. Other wise there would be a post on avoiding them. The main argument behind me not being for affiliate programs that pay more then 20% of what a customer pays is very simple. Yes the payment is tax deductable. But lets take a host gator account that a design client of mine signed up for, I sent him to a friends affilate link on the promise he told he how much he got paid. Being the cheap skate this design client was he went with the month to month plan which was $7.96 (never mind it would have been cheaper to sign up for a year or more). That means that it takes 13 months before any of that money is put into tech support, its all being sent to the affiliate. That also means that until the 13th payment, not a singe penny goes towards any form of service. There are other things that qualify as a tax deduction which are things that would improve service, such as paying a decent living wage to the tech on the other end. After all a happy employee is a productive employee. As much as we may try to blame affiliates, and the companies that pay them. The real problem is not the outsourced techs, nor is it the companies that employee them. After all lets go back the product that started this post, Organic Fair Trade Wake Up Blend coffee from Trader Joes. This is a product that caters to people such as myself that are Tree Huggers, and concerned with the well being of others. I am not going to be on a list of people that buy blood diamonds out of Africa knowing full well the human cost. Hence products that carry the Fair Trade Logo, for those that would rather not have coffee or other things under slave labor conditions. Any company will flow to an idea that brings in money, especially when people stop buying from companies that operate sweet shops. So before you decided to yell at an outsource tech, ask yourself how much did you pay for your hosting package. I welcome any outsource techs that want to share their experience be they good or bad. That is not an exact quote from my site. For that matter the miss over the details that prove I am not “google bombing“, nor am I “prolifically self-aggrandizing sponsored conversations to bury negative reviews“. Hostgator is not paying me to write about themTo be honest yes I was copying what those so called Google bombers have done, and those Google bombers have even accused me of such. Over time though I have not done it so much as it gets a bit boring. While I do enjoy a good link, I would be happier if it was in a proper context. I honestly really love it when some one is trashing me for what I am really doing. But calling my site fake? Not so much. This Seclists.org author did not do his research. First off let me explain I claim to be no expert at blogging, and this site is not making me a income to live off of. I started this because back in Oct 2007 I found a site called webhostingstuff.com that thought it was a good idea to remove my positive feed back given to my company by customers. In short when I confronted this so called review site he blocked me from further communications. 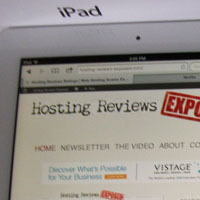 Long story short, hosting-reviews-exposed.com was born. Which lead to the creation of this video. So Seclists.org do I need to show further proof? Which I am sure I will see happen again before November, and have friends that have promised to send me Hostgator’s advance warning to cj.com so I can do an advance broad cast next time. So Seclists.org how about issuing a correction? I can respect not liking hostgator, after all they used to be one of my competitors. Not to mention they fuel fake review sites like webhostingstuff.com. The person who choose to post their rant on seclists.org did not read my post in full before grouping me with others. Perhaps my sarcasm was not evident? I am still wetting my feet, and I make no claims at being a professional blogger. But I make it a point to read before I post links. What I find interesting, that the only mention of webhostingstuff.com (who is doing the damage your writer was worried about) was mentioned by me. Yet this is absent on the seclists.org post. Come on Seclists, everyone makes a mistake so please issue a correction. For some time now I have been meaning to write a post in regards to my feelings about affilate payments. So far the general opinion of my critics is I am against them and I am a hypocrite. I think now is a good as time as any to express my opinion on affiliate programs. Last month a review site with an Alexa score of 8,000,000 + created a post on webhostingtalk.com to expose me. For obvious reasons I am not going to point to this site, but I will point to the forum post where I was to be exposed. Because of this post I have been rather busy communicating to several people, some of which have given me some interesting things to look for that I would never had thought to look for. 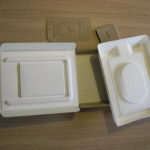 Which is part of the delay on getting posts out, that and there have been significant changes at webhostingstuff.com. Frankly before this I did not have much reason to communicate on webhostingtalk.com, as I was not sure any thread I would start would be blocked or removed. I found out about the post because of Google Alerts, and I was pretty much going to say nothing until they got off topic. It was some how the opinion that I wanted a government hand out because of some 14 year old I allowed to make a comments on my video. Even though I made it clear by my own comments I did not agree with the poster about having the government provide free hosting level services. Just in case its not enough for me to say that I believe by paying for your service, you are going to be more inclined/obligated to actually do something. Clearly with a hosting bill thats around $2,000 a month I am very motivated to get something out of my service. Recently I read a post from one of the people that posted on that forum topic above that demonstrates one of the big reasons I got out of the hosting industry, and why I am not for giving out free service. This is from a hosting provider with a little over a 3 years of experience running a host, granted this was in his first year. I can tell you with my 11 years of experience that that it was a fact with my first long term company. When I first started out I was offering packages for $500 or more a month, barely ever heard from these people. Many of them had their own private webmaster, or paid my company for web master services. Webmasters seem almost as rare as blacksmiths these days. By 2005 we started offering a $1.99 package. On average clients that paid $1.99 a month were 6 times more likely to submit a ticket then a customer that paid $25.99 a month, $1.99 a month customers were 14 times more likely then someone that pays $49.99. Its one of those facts my business partners over looked as they sought to compete with cheaper/unlimited markets. I think it was 2006 when one of my companies started a 90 day free trial, which I can tell you was the start of me wanting to get out of the hosting business. It was not so much that we were giving service away for free, but that these people would make us work for a probable sale only to cancel at the end of 90 days and run off to another company that offered a similar trial, off the top of my head I would say a lose rate of over 70%. Generally if they stayed they did not upgrade to anything beyond the 1.99 month plan. At this point I adopted the theory that at least 5% of all customers were evil, and perhaps only because of good genes I still have all my hair. That or killing the 90 day free trial after 14 months is what saved my hair. I decided to make a response that was non-aggressive as possible, and I was aware before I posted my first response that this was a review site who lanched a debate against me, and decided not to point that out. I wanted someone else to point that out. By the end of the post I think it became clear how little the person who had started the complaint understood the hosts he had called top 10. His research involved copying someone else’s top 10 list, and that was the sum of his efforts over a 3 month period of time to make a 3 page site. 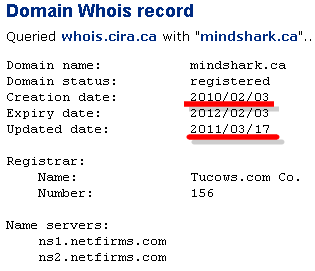 He also was not aware that his host used the same data center as hostgator.com. “And review sites like mine research, find and then list the best top 10 hosting providers. That way they save their time and able to find the best suitable host. By that statement he has clearly ruled out seeing if small to mid size hosts are viable options, which I think was his biggest mistake. What he admitted to only proved why you should not trust his list. 1. he is a hypocrite. According to him affiliate marketing is evil but himself making money with adsense and affiliate marketing. you can see banners at his website. 2. He is making his living by bashing others. I am not a regular member of his blog so can’t say how accurate his finding are. Busting review sites that created top 10 lists based off of companies that offer only high affiliate payouts. Busting hosts that own their own top review list, only to appear on the top of their own list. Busting review sites that take payments under the table to claim a host a is a top host. 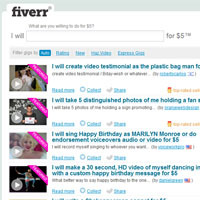 Busting hosts that pay review sites regardless if they earned the right to be a top host. Busting hosts that appear in top 10 sites because they offer a high a affiliate payout. Busting review sites that have other devious practices of making money, more about that in a later post. To be a hypocrite, I would have to do what I am exposing. Now to be clear I have no issues with affilate programs, as I am a member of several, some of which are through Commison Junction (cj.com). This is where I try shamelessly to encourage you to buy something. When it comes to the Amazon Kindle I like to think of myself as a walking billboard for a reason to buy one. I got mine as a gift to myself for selling off my first hosting company. Partially because before I got into webhosting I used to read tons of books, some times as many as 20 in a month. But as 2009 came to a close I realized that my most extensive reading came from reading contracts, terms of service, and customer/supplier emails. Customers emails can sometimes be entertaining I will admit, but I had not read a single book by the time my Kindle arrived on November 30, 2009. The first book I choose to try and finish off was Stepehen King’s Wizard and Glass (The Dark Tower, Book 4) . 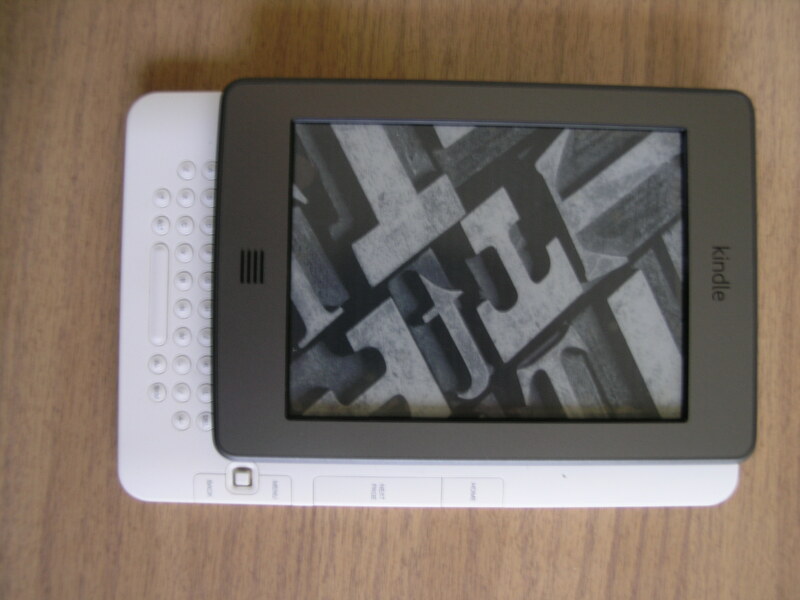 I had actually bought it in hard back, then paper back, and from another ereader on Dell’s abondoned Axim hand held device. Honestly the first 3 books were the best in that series, the 4th was the worst with its long winded back story. The last three were ok, but I proable would not have finished if not for the first three books. While I am not back to reading 20 books a month, I have a digital library of over 264 books. I do catch a chance to read. While I can also read the same book and keep my place between my iPad and Kindle , I much prefer to read from the Kindle as the battery life far surpasses the iPad, not to mention I can not read my iPad in the sun. 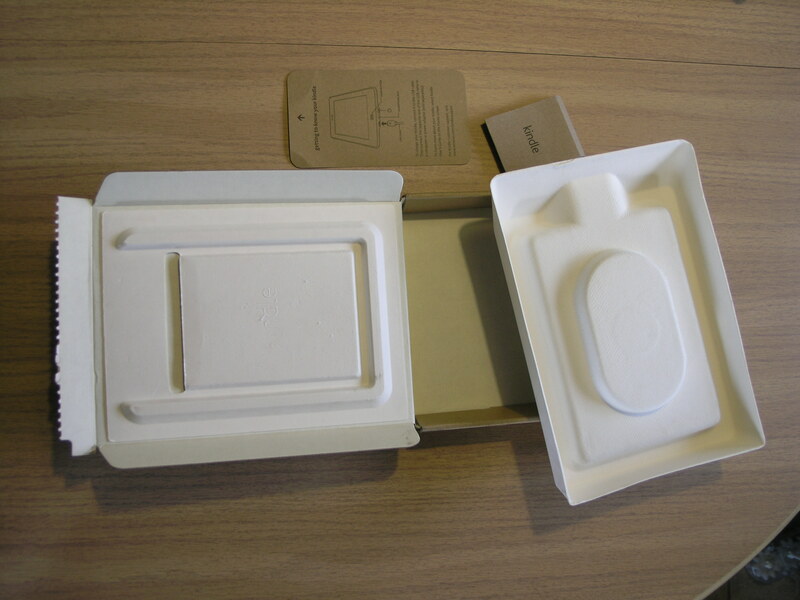 I recommend the 3g model over the wifi version if you travel like I do. While I have the Kindle 2 3g, I got to try out the Kindle 3 with wifi that I got my brother for his graduation. I found it some what annoying to set up the connection. But the print was finer, thinner, lighter then the Kindle 2. 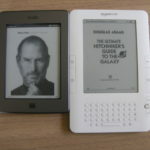 I might actually get the 3 later on to have a Kindle to leave in my car. 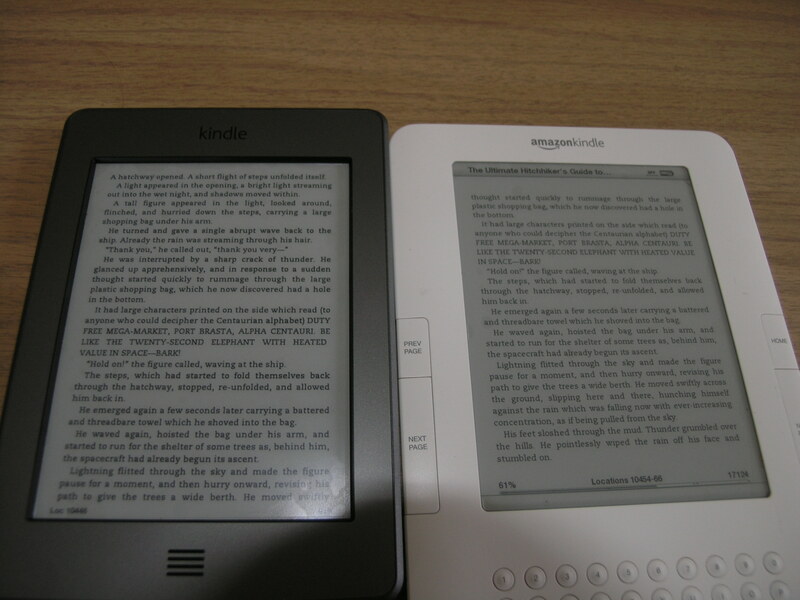 Not to mention the Kindle 3 actually has page numbers where as the 2 does not ( I am not sure why it does not). But I will defiantly purchase 4. Currently I am reading The Elfstones of Shannara . Back to Webhostingtalk.com, do I hate affiliate programs? The above is an example of actually promoting a product that was actually used. 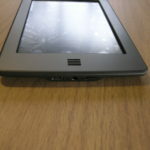 If you need more reasons to actually buy a Kindle I will happily give you more reasons to do so. What I hate is review sites that tell you that a host is one of the top 10 best hosts out there, yet they never tried any of the hosts they recommend. Just like the host that thought they were exposing me on webhostingtalk.com. 10 hosts, and the one host he was using was not on that list. Never mind that the payout for the company he was with was just as big as the companies he had listed. It would have made more sense if he actually promoted them. Granted there are many sites out there that promote only one host, but they don’t really tell you what they actually have hosted unless of coarse its the very site that tells you to host with the host they are promoting. One paticular hostgator.com affilate comes to mind that does nothing more then spew out details about every faucet of what makes hostgator.com, it seems more of a f.a.q. section then a affiliate. The bottom line is unlike Consumer Reports who tests countless products, the review sites offer no proof that you should trust their opinion, they ask you not to kick the tires so to speak. They throw up a few details and try to tell you they have other reasons that they don’t list. Unlike these sites, I want to compel you to kick the tires and ask questions, there is a point where a little skepticism is a healthy thing. After all if it came to actually buying a car are you going to let the sales person pick the car for you? Now to be honest I can’t say I get much enjoyment out of making money, but I sure do enjoy spending it. I think affiliate programs can help to promote products. Like say a band that I really love but I don’t think gets enough exposure such as Faithless . If there is anything I hate about affiliate programs is those that payout as much or more then what a customer paid. I actually plan to talk with an accountant about this to see how this effects the taxes a hosting company pays. On Webhostingtalk.com I was called a hypocrite, is that true? In order to be a hypocrite I would have to engage in the same activities that I am trying to bust other companies for. While I have Google Adsense and affiliate programs for non-hosting related items up, you are not going to see me put my name behind any host with out actually using their service and a lot of work to prove why. Granted its been a year of blogging and I have yet to find a company I would fully endorse. I am willing to tell people who I use and why they are adaquate and why I am not happy with them (Media Temple, Rackspace, and Theplanet (bought by softlayer)). I’ll even tell you who I have used, and why I would never use them again (Burst.net and Layered Tech).